Stonehenge in Wiltshire is one of the best places in Britain to witness this spectacular event. As always I will be up all night overlooking Stonehenge as our ancestors have for 1000’s of years. 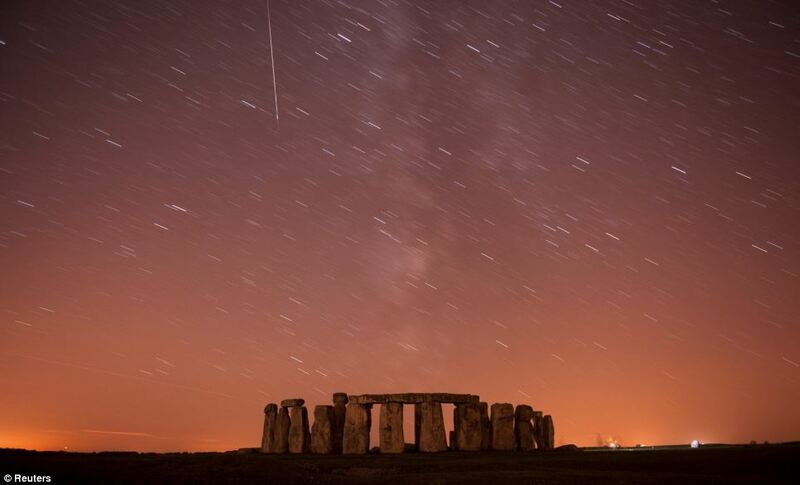 Perseid Meteor shower over Stonehenge. Streaking down towards Stonehenge across the path of all the other stars in the sky, this shooting star is hurtling to Earth at 135,000 miles per hour – 100 times the speed of Concorde. Skywatchers were today given advice on how to enjoy this year’s display of Perseid meteors despite a full moon. The Perseids, which come every August, are normally one of the highlights of the celestial year for amateur astronomers. Under ideal conditions up to 100 of the shooting stars an hour should be visible when the shower peaks tomorrow. But the glare of the full moon will make it difficult to see the fainter meteors. The moon generates natural light pollution that can be equal to that from an illuminated city centre.To help anyone hoping to spot the Perseids the National Trust has produced an online stargazing guide and listed some of its best “dark skies” locations. Dr Marek Kukula, public astronomer at the Greenwich Royal Observatory in London, said: “The Perseids are always an exciting meteor shower to watch out for. Even in large cities it’s often possible to catch site of some of the brighter Perseid meteors streaking across the sky, but from a really dark site you can sometimes see dozens per hour. Every year in August the Earth ploughs through a cloud of the dust as it orbits the sun. Among the locations highlighted by the National Trust are the area around Stonehenge in Wiltshire and Mam Tor in the Peak District, high above Sheffield.